Home / CRUISING THE PAST / Horror evacuation videos aboard Carnival Corp’s Costa Concordia – Filipino crews were brave – American owned cruise lines barely pay affordable wages. 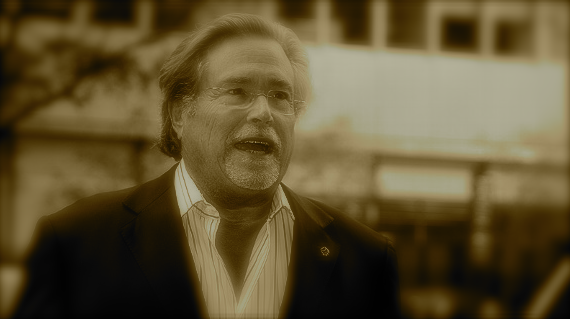 (Left: Israeli-American Billionaire Micky Arison, CEO of Carnival Corp, hid out in Miami while Costa Concorida passengers suffered) Cruise History and Liner History: Horror evacuation videos aboard Micky Arison’s Carnival Corp’s Costa Concordia. Getting there is not half the fun American congressional members refuse to investigate after two US Citizens die. Were the American politicians paid off by Cruise Lines International Association (CLIA)? Video horror aboard Micky Arison’s Carnival Corp Costa Condordia – Chaos proves these large ships are very dangerous… In rough seas thousands would have died. The Costa Concordia sea tragedy where some 17 people were killed in Italy last month opened discussions among members of the cruise line industry about the safety measures and protocol that they follow in their operations. The event also brought the cruise industry “on the defensive,” it added, quoting Cruise Lines International Association president Christine Duffy, who told the press that their members “recognize the seriousness of these events. Travel Pulse recently published an “interview” of Christine Duffy, the incoming president of the Cruise Line International Association (“CLIA”). CLIA is the cruise industry’s trade organization responsible for promoting the cruise lines’ interests and lobbying Congress. They have paid off congress members and senators millions to have them lay off doing anything about the unregulated cruise industry. Arison attempted to get congress to change US laws, so he wouldn’t have to pay any taxes. Duffy attempted to downplay grim reality of being trapped in Costa Concordia dining room with no lights as ship was sinking. (Left: Christine Duffy is the new “front” for cruise lines like Carnival, Cunard, NCL, Royal Carribean, Princess.) Duffy says that the American owned cruise lines employ Americans. Is this a total lie? Has Duffy has proved to be totally incompetent in trying to maintain a great image of the cruise industry after the Costa Concordia debacle? Is Duffy nothing but another “flack” sending money to a corrupt congress and trying to cover-up that none of the cruise lines pay any American taxes? Is Duffy just another part of the dreadful and loathsome group that call themselves lobbyists in Washington DC? 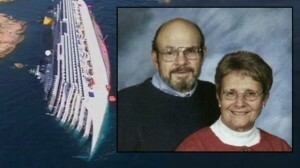 Does Duffy cover up the fact that these cruise lines don’t use doctors that are not qualified to practice in the USA? Why doesn’t Duffy come clean to report how many passengers have died (because of bad medical treatment, been raped, robbed, fallen overboard or possibly murdered aboard cruise ships? Why won’t Duffy and CLIA answer these questions? What about members of congress who have been paid off by the cruise companies? Carnival Corporation, whose subsidiary owns Concordia, said it will do “a comprehensive audit and review” of its safety procedures. Carnival Corp and Arison have contributed hundreds of thousand to corrupt American politicians, so they will not enforce regulations over the cruise industry. Concordia’s 296 Filipino crew members were commended for their “brave efforts” when the tragedy happened. Two of them were even able to take home video footages of the events, showing the crew’s rescue efforts amid the panic that arose when the ship ran aground off Italy. One of these crew members, Charlie Tayas, said he documented the happenings because it was part of his training on emergency response. In his video, which he shared with GMA News reporter Saleema Refran, Tayas could be heard talking in the background, detailing what happened. “Naaksidente ang barko namin. Costa Concordia. Nabutas ang hulihan ng barko namin. Ngayon nag-abandon ship kami. Ayan. Makikita n’yo papunta kami ng Savona. Life boat number 18. Charlie Tayas, number 701,” he said amid the dark. The other footage by Reyson Cartago showed fragments of the incident, including rows of passengers putting on life vests and a messy kitchen that seemed to be shaking in real time. Cartago’s video showed how the Filipino crew members ran around the ship, searching every nook and cranny to make sure that nobody was left behind. The New York Times article, however, claimed that a shipwreck is not the only thing tourists should be wary about. In last week’s report, it quoted Cruise Lines International Association, which disclosed that there were only 16 deaths “attributed to marine accidents” from 2005 to 2010—quite a minute occurrence compared to some 100 million passengers that went on cruises in that amount of time. Tourists should also be concerned about instances like catching viruses, crimes, fire, and even falling overboard, the report said. One of the worst and hidden factors aboard these cruise ships are the medical personel are not US qualified. Carnival Corp uses doctors from countries who could not practice in the USA. All of this done is to save money for Carnival Corp which pays no US taxes. The New York Times said “cruise passengers are more likely to get a stomach bug than face shipwreck,” with 14 outbreaks of gastrointestinal illnesses on 10 ships recorded in last year alone. Wash your hands frequently to avoid getting a stomach bug. Doctors aboard are not US certified. Many passengers have died because of poor treatment. Avoid cabins below deck. Rapes have been frequent on cruise-ships. Pay attention to safety announcements. Make sure you try on your life jacket and know where the lifeboat station is located. If traveling with friends or family, have a contingency plan so you know how to find one another in the event of an evacuation. Previous: Union Steam’s luxurious T.S.S. Awatea was the “only way to cross” the Tasman Sea from Australia to New Zealand in the late 1930s!